**** the assholes at Texas Sports Nation. Unless I sign in, I can't read their ****. Which I probably don't need to, every bit of analysis that comes from these types of articles I've read in here. The difference being is that sports writers generally don't piss in your cereal when you disagree with them like folks in here do. If you use your "new incognito tool" in Chrome (after you hit the 3 vertical dots in the upper right hand corner of the browser) or "new private window" Firefox (after you hit the 3 horizontal lines in the upper right hiand corner of the browser)..........the site is not well encryption-protected and should allow you to read the articles. If the MODS want each of the above "analysis" articles to be broken down to their own thread, I will be happy to do that. Doing it as you have seems best. If Kalil and Henderson are healthy for the start of the season, the line should be improved, but that possibility shouldn't prevent them from adding two linemen in the draft. He's either saying Kalil was good prior to injury, Davenport is that bad, or both. I'd love to hear his thoughts about the Center position. They have to address Center sometime in this draft. OptimisticTexan, JamTex, 281Texan and 1 other person like this. 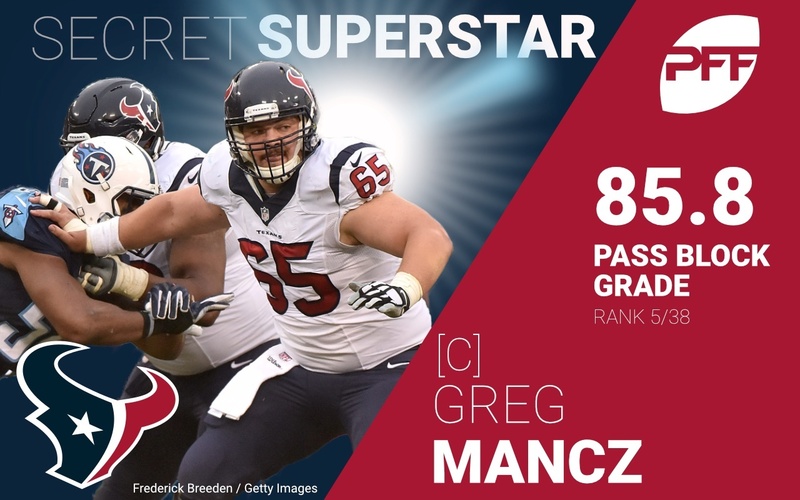 October 2015, Mancz suffered a significant nondisclosed knee injury that required surgery and IR. He came back strong in 2016. But in Sept 2017, suffered a re-injury to his operated knee, and dealt with resulting significant issues through the entire 2017 season. He was limited in practices throughout this period and was not able to hold down any OL position effectively. Dude needs to address that - could mean a lucrative contract if he can be top 8 in the league at C.
As the exact injury/surgery has never been reveals, it may not be a "fixable" problem or one that may only be addressed with drastic surgery such as microfracture surgery......a surgery that many players when it becomes the only reasonable option choose not to pursue. What is the last game he started?